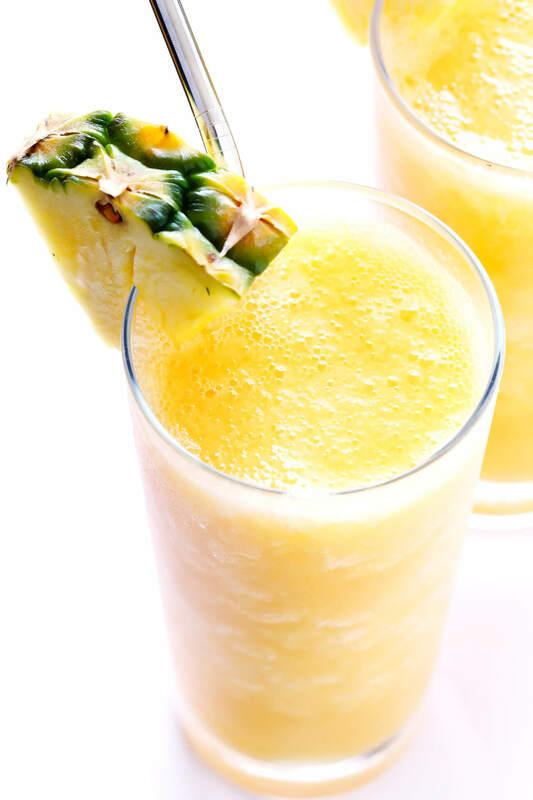 This Tropical Wine Slushie recipe is quick and easy to whip up, easy to customize with your favorite frozen fruit or wine, and always SO refreshing and delish! This post is officially my final sign-off before a week of vacation. Because tomorrow…Barclay and I are officially tying the knot! ? ? ? Ha, amidst all of the flurry and focus on the wedding this month, the two of us keep forgetting that there’s also an awesome international vacation waiting for us at the end of it all. (Which basically feels like the most wonderful, extravagant icing on the cake ever.) But oh man, we are SO stoked to head down to our little casita on the beach, kick back, soak up lots of sunshine, eat chips and salsa, drink margaritas, and spend the week retelling stories upon stories upon stories from this amazing month. Can’t. Wait. Feel free to follow along on my personal Instagram account (@gimmesomeali) if you’d like to follow along with more wedding photos and stories this week. But of course, I promise to share lots more with you when I get back too. Until then, I leave you with a tropical wine slushy recipe for your week ahead, and all my love and gratitude (and happy tears) for your amazing encouragement leading up to today. I’m so thankful for each of you, and so excited to marry this man. And I look forward to reporting back soon as Mrs. Martin! ? ? ? Actually, before I go — let’s chat briefly about this slushy! It’s basically the easiest thing to make ever. 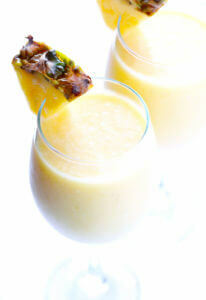 Just add a bunch of your favorite tropical frozen fruit to a blender (<– I used frozen mango, pineapple and peaches). Then add in a bottle of white wine (<– no need to splurge, a cheap bottle will do!). And if you feel like it, maybe also add in a splash of Cointreau or vodka (<– or any liqueur that pairs well with fruit, just to kick things up a notch). …and get ready to ring in happy hour. Because in less than 5 minutes, this deliciousness will be ready to serve. The options for customizing this one are basically limitless — just about any kind of wine, or any frozen fruit will do. But I loved the tropical kick along with some dry sauvignon blanc, served up (of course) with a nice slice of fresh pineapple. The perfect cocktail for a beach-y honeymoon…or anytime you’re craving some sunshine with happy hour. 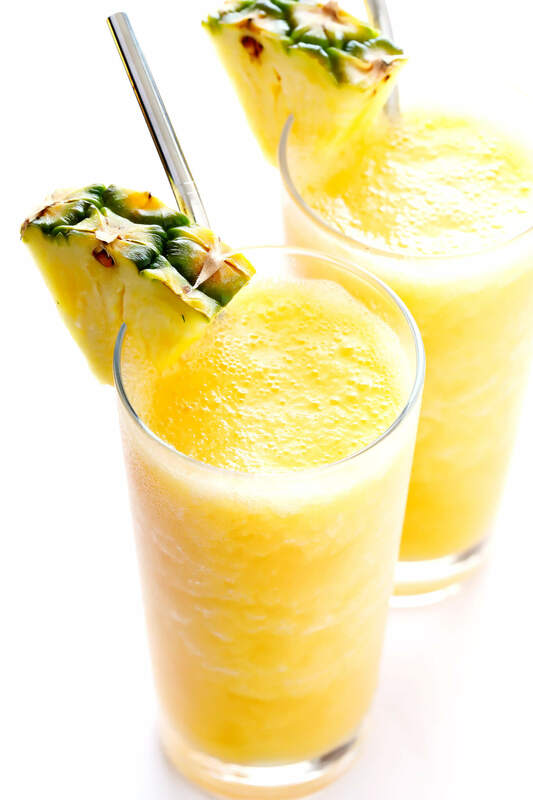 These Tropical Wine Slushies are SUPER quick and easy to make, and easy to customize with your favorite kinds of wine and frozen fruit. Just pop them all in a blender, and voila — this tasty frozen treat will be yours to enjoy! Add all ingredients to a high-powered blender and pulse until smooth. If the mixture is too thick, add in extra water (or Cointreau). If it is too thin, add in a handful of ice. 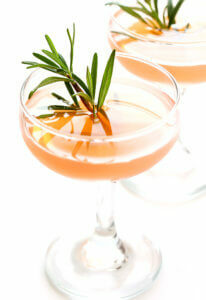 Serve immediately, garnished with a piece of fresh fruit if desired. I’m so so happy for you!! Have the best time. As an aside, I’m also 34 and didn’t start dating my guy till a few months after you met Barclay and well, my guy and I are getting hitched a week after you! haha! I love it. In a way, I completely understood all of your post on singleness and then, the excitement of meeting someone. Congratulations Ali, though I don’t know you personally, I feel like I do after reading your blog. I hope you have a wonderful day tomorrow and an excellent honeymoon. Thank you for all of your recipes and your upbeat spirit. Congratulations Ali and Barclay! Wishing you a fabulous wedding day and a lifetime of wonderful days ahead of you! Very best wishes for a lifetime of joy and happiness, Ali and Barclay. So happy for you both and looking forward to seeing some photos. Enjoy the day! Congratulations to you both !!! Enjoy your big day and the rest of your lives together ! Best wishes, soon-to-be-Mrs-B!!! Looking forward to seeing pics! Congratulations and have a fabulous time in Mexico. Looking forward to your posts, Mrs Martin! Best wishes, Ali, to you and Barclay. My last-minute wishes for you both: revel in your day and all the people celebrating with you, breathe and take it all in, and just enjoy the crap out of your wonderful Mexican honeymoon! Felix boda! I wish you and Barclay a lifetime of happiness. Just make sure you don’t ever forget your commitment to each other, and you should have a wonderful life. Enjoy that honeymoon! Thanks for this recipe.. This is something everyone should want to experience in the warm weather or on vacation. I can’t wait to try it. Congratulations and have a beautiful wedding and an even greater honeymoon. You’re very welcome, Kecia, we hope you enjoy it! Congratulations and best wishes to you both! Have a wonderful wedding and honeymoon! 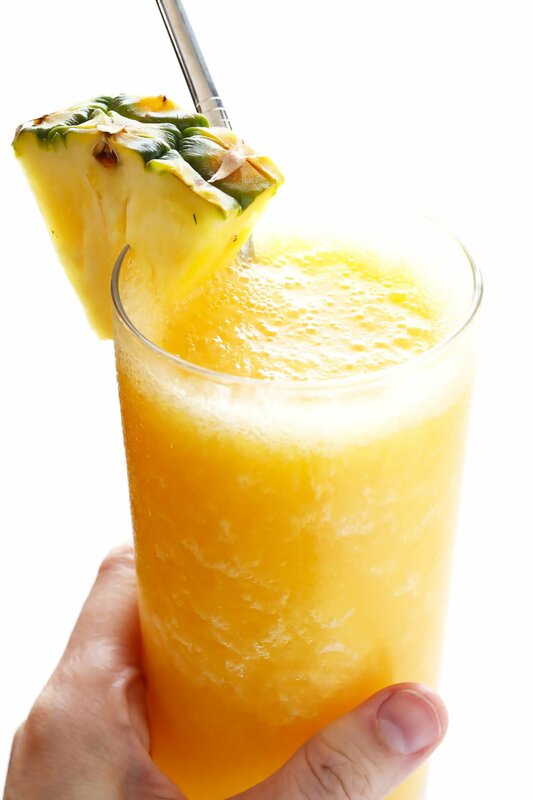 This summery slushie looks delicious. Cheers! sending Happy Wedding Wishes…I have so enjoyed your journey this past year, think you for sharing the joyful experiences of your engagement and wedding! Have FUN!!!!! Congratulations! Wishing you a life time of happiness together. I because a Mrs Martin 17 years ago myself. And thanks for the recipe! So excited for you, Ali! I pray your marriage brings you more joy and laughter than you can imagine. 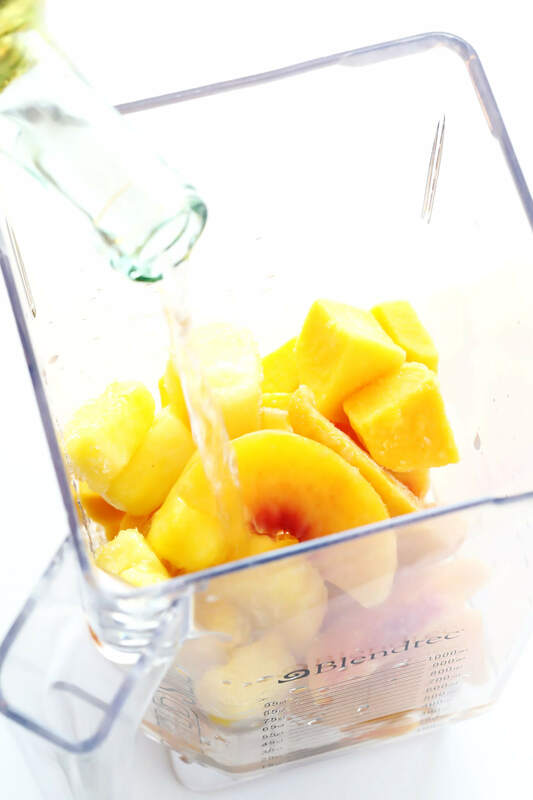 This looks so refreshing and easy! My family goes boating on the Mississippi and my mom and I are always looking for tasty drinks to take along. This might be next! Thanks, Danielle, we hope you and your family enjoy the recipe! It’s so lovely to follow along with your instagram pictures of someone who is so happy! I’m not on instagram so any link you add to your post is great. Exciting news! And…great looking summer recipe! This slushie looks so refreshing! And congrats! Enjoy your vacation. This is such a great recipe! I tried it today and I really liked it. The mix of ingredients makes it super delicious. Thank you for the recipe! Congratulations and thank you for this, it may be the only way for me to enjoy white wine! (Red only-usually!) And liguor too, thank you! Congrats on the wedding and enjoy the honeymoon! Thanks for the fun drink idea. 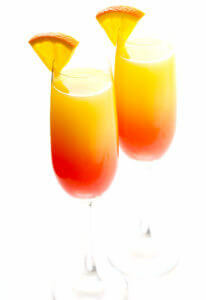 This cocktail really seems to fit with the season ! Never thought about making a cocktail with wine but this one seems refreshing. Working for an events company in London where there are a lot of food/cooking related events, and I am getting lots of inspiration to try new recipes. This one seems nice for a sunny week-end. This looks perfect for my upcoming girls getaway! 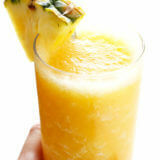 What girl wouldn’t love a tropical wine slushy? Pinning to make on our girls trip. This is everything. And summer defined! Thank you so much for sharing this recipe. And congratulations on your recent wedding. Wishing you both all the best!